May 21 What is Red Nose Day? Red Nose Day breaks out into the US this year. If you haven’t already heard, today is the first US Red Nose Day. Our client Walgreens, was the sole retailer of the infamous red nose. When they asked us to develop a concept that would allow us to support Red Nose Day USA from a social perspective, I don’t think I yet realized the magnitude of that request. The Red Nose Club is a group of some of the best content creators from across the US. Leading the charge are our partners Dawn Sandomeno and Elizabeth Mascali of Party Bluprints who served not just as content creators but really as content editors connecting us with the right content creators and ultimately serving as an extension of our team to ensure our activation plan went off without a hitch. 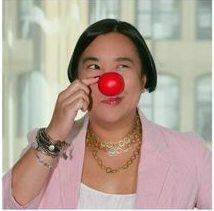 Additionally, Carusele content partners MJ Tam and Beth Rosen of Sparkfete (you may also know them from Chicagonista and ChicagonistaLIVE) produced an amazing video that spotlights the Red Nose Club and serves as a key educational piece used throughout all syndication efforts. That said, instead of me trying to describe to you the purpose of Red Nose Day, why don’t I let the Red Nose Club bring it home. So, exactly what is Red Nose Day? How many things can give you terrific joy for just $1? Not too many. Queue the Clowns. Laughter is great medicine. Ask any mom how she gets through the rough spots of parenting and you’ll hear a good laugh goes a long way. 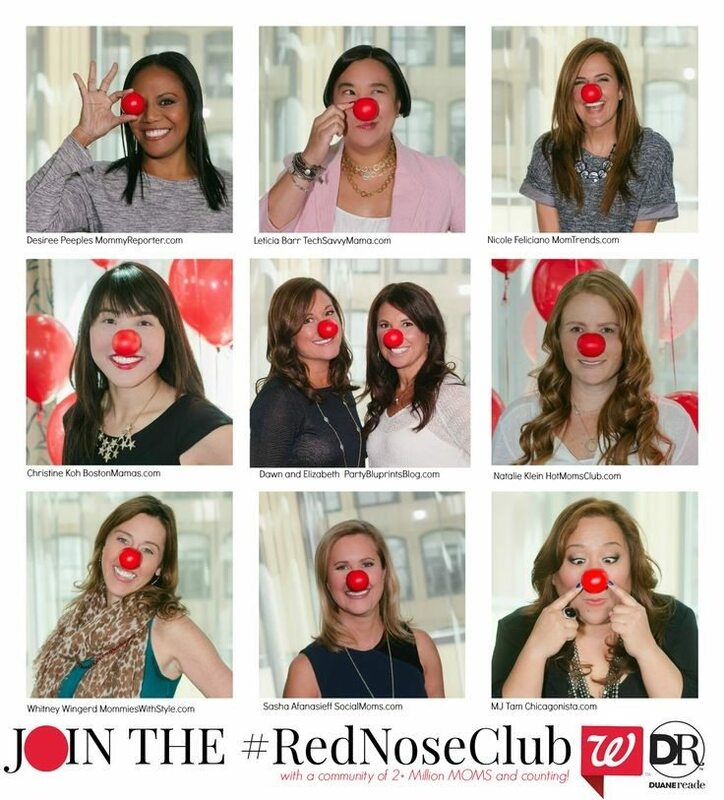 That’s why Walgreens enlisted 10 moms to become the founding circle of the Red Nose Club. I flew out to Chicago with this amazing group of women to shine a light on the cause and encourage moms and families to get involved. On May 21st with a live 3-hour event on NBC that will feature celebrities like Christina Aguilera, Jack Black, Bill Gates, Will Farrell, Emily Blunt, John Legend, Jennifer Hudon, Pharrell Williams & many more! For just $1, you can purchase one of these fun red noses. Proceeds go towards 1 of 12 charities that help children in need. I’m a part of a blogger team that is helping to launch and spread the word and I have been having so much fun with it! Have you ever gone into the local store and been asked to donate to charity? Thoughts run through your head…. 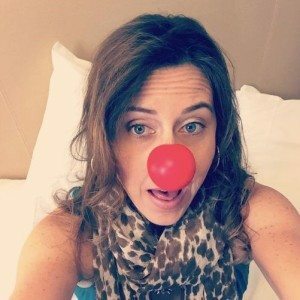 Is today the day I am going to donate? I just did yesterday, so should I again? Am I going to be guilted into it? 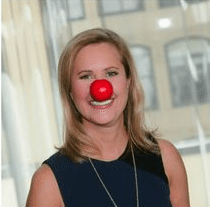 But what if the donation was as little as one dollar, you knew the money was going to some wonderful charities in support of children and, in return, you got a red nose? I know, red nose???? What does that remind you of? The circus? A clown at a child’s party? Robin WIlliams’ unforgettable performance in the film, ‘Patch Adams?’ Now think about it, did any of these images NOT make you smile even a little bit. As my family celebrates me on Mother’s Day, I can’t help but smile on how fortunate I’ve been in this life to see my husband and children busily prepare for it. Kids are happily making homemade cards and my husband is cooking up a storm in the kitchen. Like many families, celebrating Mother’s Day is one weekend / day that gives mom a moment to feel loved and appreciated. But truly, the biggest reward of all for me is how my husband and I can look at each other in the eyes and feel content that our kids are happy on moments like this. I’ve been inspired by my friends and online community who have shared photos of themselves wearing red noses all in the name of helping to lift kids out of poverty. After all, we’re all in this together and our individual efforts will add up to huge change in the lives of many. 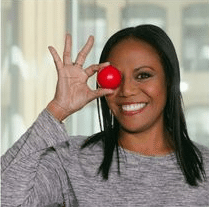 A few weeks back, the Red Nose Club gathered in Chicago for Walgreen’s kick-off and the sale of the first red nose in their flagship store on State Street. If you’ve seen the red noses popping up everywhere from NBC (we thought Blake Shelton and Carson Daly wore it well on The Voice) to just about any where online, but you still don’t know what all the fun is about, you can learn more from the Red Nose Club, just watch video below. We’ve been working hard to spread the word! Get ready to purchase your red nose and make a difference in the lives of children! Red Nose Day is a campaign dedicated to raising money for children and young people living in poverty by simply having fun and making people laugh. The inaugural Red Nose Day will be held in the US on May 21st, 2015. People across the country will come together to have fun and raise funds and awareness. The day’s events will culminate in a three-hour entertainment TV special on NBC featuring the country’s favorite comedians, musicians and Hollywood stars—it’s a show not to be missed! Ha ha, yes, it’s time to “pick” your nose for #RedNose day! 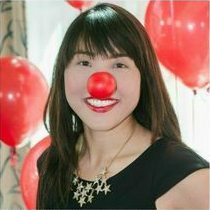 If you are not familiar with what #RedNose day is and what it’s all about, check out my earlier blog post here. 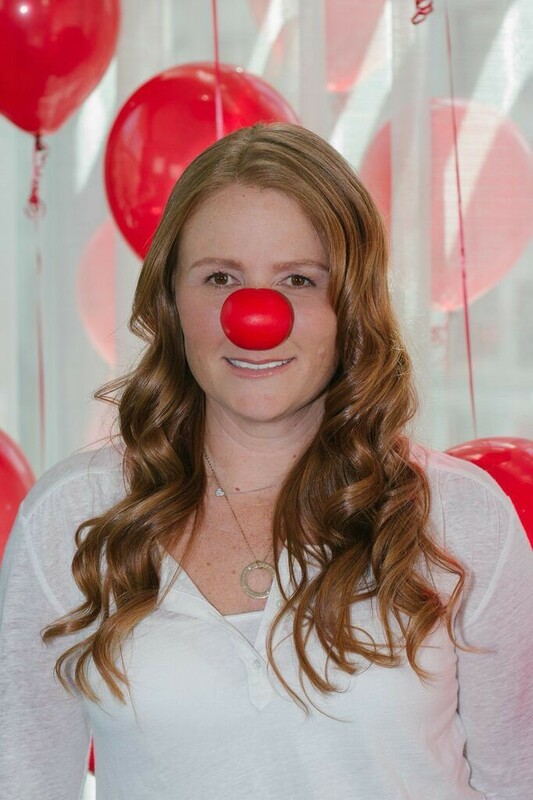 I have already purchased my #RedNose and I’d like to invite you to do the same. You can grab one at any Walgreens store. It only costs one dollar and you’ll be helping millions of Americans get the support and things they need to rise above poverty. 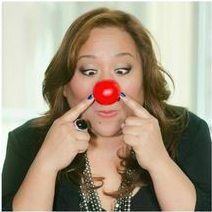 Since sharing about my involvement in the Red Nose Day initiative, it’s been so incredibly fun to see the #RedNose popping up everywhere, whether it’s at one of the many Walgreens stores near us, online in my social media stream, or on TV (holy moly, Laurel and Violet FREAKED OUT when Carson Daly and Blake Shelton wore their red noses on The Voice the other week!). 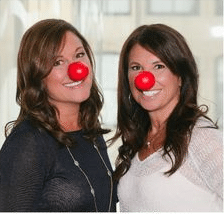 - See more at: http://www.bostonmamas.com/blog/2015/5/8/12-red-noses-for-12-amazing-charities.html#sthash.SAgResgk.dpuf.